Acne, blackheads, whiteheads or spots are all a nuisance and in many cases a very limiting appearance. Limiting in the sense that you might get annoyed because they appear at the worst possible time; or your self-esteem might suffer because of regular severe outbreaks. Drug stores have shelves filled with cleansers, scrubs and peels that have some varying degrees of success. And the most effective options are usually only available with prescriptions and cost a fortune. In some instances they can be quite aggressive as well and produce some side effects that take the good out of them. 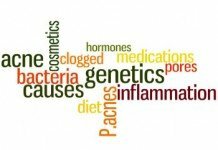 Fortunately, there are over the counter solutions that have an active ingredient that has proven very effective for millions of people. Benzoyl peroxide is the name of the ingredient and it is a highly effective substance against bacteria. This reduces the inflammation of skin which worsens the impact of acne. When used on a regular basis, it will make a huge difference to your appearance in the long run. 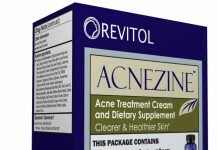 On this page you’ll find the best benzoyl peroxide acne treatment products available right now. We list their benefits as well as side effects, so that you can make a choice that best suits your condition and skin type. Is Benzoyl Peroxide Effective for Acne Treatment? 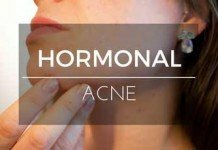 Is Benzoyl Peroxide Good For Acne? Benzoyl peroxide is an over the counter acne medicine. 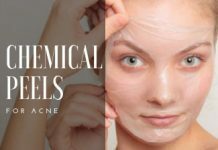 It is often recommended for treating mild acne conditions, but in combination with other effective anti-acne ingredients like salicylic acid and glycolic acid, some products like exposed skin care utilize it to treat the more severe forms of acne. According to Dr Amanda Oakley, of Waikato Hospital’s Department of Dermatology, it is safe to be used by adults, children, and even pregnant women. 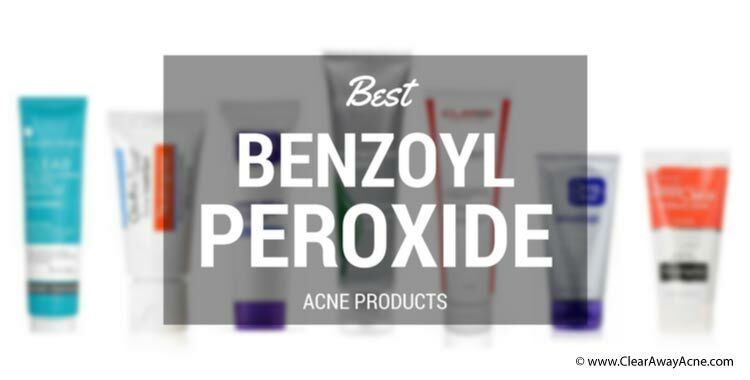 How Does Benzoyl Peroxide Work Against Acne? The main reason behind the efficacy of benzoyl peroxide for acne is that it targets some of the main causes behind acne formation, namely: clogged skin pores, bacteria, and inflammation. It is a primary anti-bacterial agent in most acne treatment products due to its ability to effectively reduce acne causing bacteria, P. acnes. How Long Does It Take For Benzoyl Peroxide To Clear Up Acne? I’m a staunch believer in the fact that there’s no quick acne treatment, and countless studies have proven this. So, if you’re thinking that a benzoyl peroxide based product can cure your acne overnight, I’m afraid you’ll be disappointed. That isn’t to say that acne products that use benzoyl peroxide aren’t worth it. You just have to be patient and let the product settle for at least 2-3 weeks. If it doesn’t work out, you can then look for an alternative acne treatment. However, if a product brings you side-effects like the following, you should stop its use immediately. If a benzoyl peroxide product for acne brings any of these side effects, stop its use and consult with your Derm ASAP. Another way to minimize the risk of side-effects is to make sure you’re using the right concentration for your specific skin type. Read on to learn how. 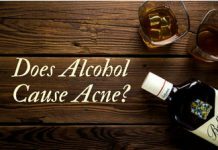 To start with, it’s important to get a physician’s guidance before letting a minor below 12 years of age use a BP acne product. For teenagers and adults, a general rule of thumb is to understand the concept of concentration. 2.5%, 5%, and 10% are the usual BP concentration in most products. The greater the concentration, the stronger / harsher the treatment gets. It’s extremely important to stick with the 2.5%-5% concentration if you have sensitive skin. 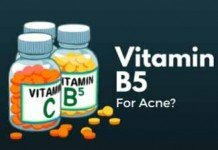 Moreover, a study published on The International Journal of Dermatology concluded that a 2.5% BP dose was just as effective as 5% and 10% concentrated doses against acne vulgaris. So, it really isn’t worth the risk to go for higher concentration if you have sensitive skin. The following products were hand-picked for the best results after analyzing over 3500 real user reviews. 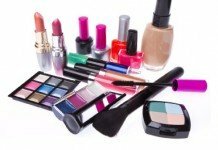 The pros and cons, directions for use, and suitable skin types of each of these products are clearly mentioned. This will help you make the best choice for yourself in the shortest time possible. Enjoy! Products from Exposed Skin Care lead from the front, by a far margin, in terms of success rates and efficacy. This is a component of the Expanded Exposed Skin Care Kit. 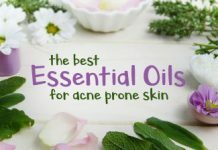 It contains a unique blend of 3.5% benzoyl peroxide along with green tea extracts and tea tree oil, which enables it to kill acne causing bacteria, fight free radicals on your skin, and promote healing. Suitable For: All skin types. Including sensitive skin (with safety protocol). Works great for banishing moderate acne containing blackheads/whiteheads or pustules. Guarantees to improve your acne condition, within 30 days. Free from harsh chemicals. Utilizes a unique blend of proven active ingredients to combat acne effectively. It’s doesn’t feel heavy on the skin, and absorbs nicely. Can cause dryness on your skin. Some individuals have also reported allergic reactions. Not as effective against hormonal or cystic acne. You will need the Expanded Kit to fight severe acne condition like these. Use it twice a day for maximum results. If it feels overly drying, follow it up with an application of a suitable acne moisturizer. To avoid burning, itching, or any kind allergic reactions, refer to the BP Safety Protocol provided in this post. This prominent acne treatment serum from Paula’s Choice utilizes benzoyl peroxide (5%) to fight stubborn acne and prevent future acne breakouts on your face or body. Being from Paula’s Choice ensures that this acne treatment is free from synthetic fragrances and is never tested on animals. Suitable For: All, except sensitive skin (but there’s a milder version of this product available for sensitive skin). Dries out your existing pimples and prevents breakouts in the future. Can work for moderate to severe forms of acne, including cystic acne. Works great as a spot treatment for acne. Good at reducing redness/inflammation on your skin to a noticeable extent. Absorbs quickly on the skin and leaves it with a matte finish. Benzoyl peroxide (5%) is too strong for sensitive skin. Though, it does have a regular strength version of this product containing benzoyl peroxide (2.5%). Can cause excessive dryness on your skin. Use on a cleansed face. DO NOT apply all over your face – use it as a spot treatment. Apply directly on your blemishes or around areas that are most prone to acne. PanOxyl Foaming Wash contains the maximum strength benzoyl peroxide medication you can get without a Doctor’s prescription. It is the best way to experience a strong acne treatment in the feel of a foaming wash. Its strong formulation has both the upsides and downsides, which you’ll be able to see below. But overall, it’s rated as the #1 consumer product in drug stores in the US. Suitable For: Oily, normal, and combination skins. Not for dry, sensitive skin. Can be used to fight stubborn acne on your face, chest, or back. Maximum strength benzoyl peroxide exfoliates dead cells from your skin, clears your existing pimples and prevents future breakouts. 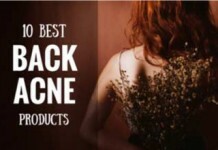 Can work extremely well for back acne treatment. Not suitable at all for dry, sensitive skin. Can cause excessive dryness on the skin. Limit the use or follow up with a good quality moisturizer. 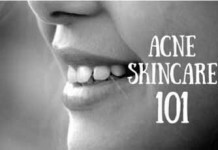 People with a history of allergic reactions to acne products must follow this safety protocol before using it. It’s good to follow up its application with a moisturizer to avoid excessive dryness. Keep it off your clothes as it can bleach them. Let’s see what side of the story its pros and cons narrate. Suitable For: Oily, combination, normal skin. Not for excessively dry and sensitive skins. Maximum strength benzoyl peroxide eradicates acne causing bacteria on contact, penetrates deep into the skin to unclog pores. Tested to provide a clearer skin in a short period of time. 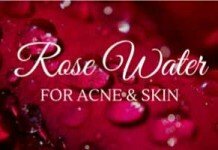 Can work well for severe acne conditions. Reduces the appearance of acne scars with continuous use. Like most Neutrogena products, this one is stuffed with harsh chemicals that can result in itching, irritation, and other nuisances. Doesn’t completely wipe oil off your face. Do a patch test as directed in the safety protocol to ensure your skin can tolerate it. Use twice a day for maximum results. Follow up with a moisturizer or lotion if it dries out your skin. Strong benzoyl peroxide (10%) acne treatment fights P. acnes bacteria effectively on your skin and promotes rapid shedding of dead skin cells. Humane Acne Wash is suitable for fighting severe acne conditions where milder acne treatments don’t seem to work out. Suitable For: All, except very sensitive skin. Manufactured in USA under FDA compliant facility. Works wonders if cleansed along with clarisonic brush. The neat lotion pump on the top ensures most efficient use. A normal 8-ounce bottle can last up to 2 months. Clears your existing acne, and can even reduce your acne scars. Can be used to treat body acne. 10% BP concentration always comes at the risks of redness, itchiness, and irritation. If any of these occur, halt the use. Leaves a thin film on your skin, and you have to thoroughly rinse the wash off your face to remove it. Apply a dime sized amount of Humane Acne Wash and allow it to settle for at least 15 seconds. Afterwards, rinse it off with warm water. Follow up with a good quality moisturizer to keep your skin nourished. If you’re going outside, do not forget to apply a sunscreen (SPF 30 or above). Derma Topix is a prominent brand in the anti-aging and acne treatment industry. This Derma Topix Complex contains benzoyl peroxide (10%) medication to fight acne from its deep roots. The added aloe vera in its formulation helps reduce the possible drying and harsh effects of the maximum BPO dosage. Suitable For: Oily, normal, and combination skin. Not ideal for dry and sensitive skins. Can be very effective against moderate-severe acne conditions comprising of pimples, pustules, zits, blackheads/whiteheads. Works best for adult acne. Can be used as a body acne treatment, vanishing acne on your back, chest and shoulders. Can be over-drying for your skin. It is not free from fragrance, but the smell isn’t irritably strong either. Always use a moisturizer in conjunction with it. 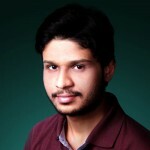 Coconut oil based products seem to work best in this regard. Use daily to observe maximum results. Make sure to follow BPO safety protocol. Clean n Clear Advantage is a daily use scrub that is designed to shed dead skin cells and unclog skin pores through its medium strength benzoyl peroxide (5%) acne medication and micro-beads. No visible use of natural ingredients, unlike Exposed Benzoyl Peroxide Serum. But the 3 in 1 tagline implies that the formulation of CnC Advantage cleanser exfoliates dead skin cells from your face, dries out your existing pimples, and prevents future breakouts. Suitable For: Oily, acne prone skin. Sensitive skin is also suitable. Good choice if you’re looking for a product that gets rid of your acne faster. The strong benzoyl peroxide medication penetrates into your skin and banishes bacteria. Micro-beads exfoliate dead skin cells off your skin. Effectively reduces size of pimples and inflammation on your skin. Comes at a very fair price tag. This is not the product you’ll want to use in the showers. Be very careful as it can bleach your collars without you even noticing. Suitable for treating mild to moderate acne, not severe acne conditions. Has a strong smell that you might not get used to. Gently massage all over your wet face, rinse it off and pat dry. Start with 1 use daily, and gradually increase its application to maximize results. Do not use it in conjunction with another acne medication. Excessive dryness and allergic reactions are probable in such a case. Because it uses benzoyl peroxide in a sufficient concentration, it doesn’t require any accompanying acne treatment. Although, not a major player in the skincare space, Claror has generated quite a buzz over at amazon with its flagship 2.5% Benzoyl Peroxide Gel Acne Treatment. It has pioneered the “MICRONIZED BPO” technology that promises to provide better absorption of medication than any other treatment available on the market. Suitable For: All except overly dry and sensitive skin. Gentle benzoyl peroxide (2.5%) concentration causes less to no irritation. The unique MICRONIZED BPO technology ensures the medication penetrates deep into the skin, fighting acne causing bacteria, without the expense of dryness or irritation. 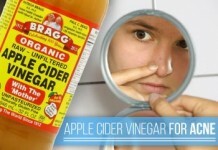 Effective against blackheads/whiteheads, and opening up clogged skin pores. One tube goes a long way. The regular 8 ounce bottle can last 1-2 months. Can help with excessive oiliness on your skin. Though, it promises not to be overly drying, this can cause dryness on skin in some cases. Skin moisturization is recommended for coping with such a situation. 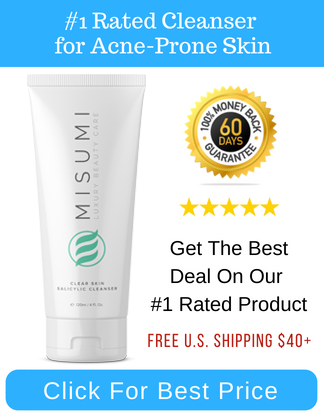 Can’t promise a speedy recovery from acne, unlike many other products listed in this post. Use it as a spot treatment. Apply directly on your blemishes, or spread evenly over areas of your skin that are most prone to acne. Twice a day usage yields best results, but it’s recommended to start off with one application daily. This is the second product from Clean n Clear that has made to our list of top 10 benzoyl peroxide products for acne, and for no unjust reasons. The unique formulation of Pesra-Gel 10 from CnC releases the maximum strength benzoyl peroxide (10%) acne treatment deep into your skin, destroying pimples right where they start. Suitable For: Oily acne prone skin, not suitable for sensitive skin. Maximum strength benzoyl peroxide acne treatment ensures a speedy recovery from stubborn acne. Very effective against blackheads/whiteheads, zits and other mild acne blemishes. You only need to apply a dime sized amount each time, so one bottle goes a long way. Works well for teenagers and adults alike. No matter what type of skin you have, this will be very drying. So, it’s always recommended to follow it up with a moisturizer. Leaves a white residue on your skin after application. Not actually a “gel” as suggested by the name. It’s a very thin cream. Apply a thin layer of Pesa-Gel 10 evenly on your skin. Start off with 1 application daily, then, gradually increase up to 3 applications a day. Unlike many prominent benzoyl peroxide acne products, this treatment from Neutrogena uses the mildest 2.5% benzoyl peroxide acne medication to fight P.acnes that are the main causes of acne, and prevents new pimples from forming. 2.5% concentration actually gives quite the same results as those of higher concentrations, and its added benefit is that it causes 70% lesser irritation. Oil-free acne treatment, won’t increase oiliness on your skin. The gentle BPO concentration fights bacteria and sheds dead skin cells without overly drying your skin. One of the very few BPO acne products that are suitable for sensitive skin. It is a vanishing cream, so won’t leave any residue on your skin, and people will be hardly able to notice you’re using an acne treatment. Won’t get rid of your acne scars. Not a quick acne treatment. Requires continuous usage for obtaining visible results. Start off with one application per day (extremely important if you have sensitive skin). Then if you don’t observe any adverse effects, increase its application to twice a day. Unlike other major acne treatments that employ an exhaustive set of ingredients, Dr Songs’s 10% Benzoyl Peroxide wash takes on a simple yet proven formulation to fight off your unwanted blemishes. It makes your skin clean, dries out pimples, and helps prevent future breakouts. Suitable for: Normal, oily, combination skin. Generous quantity for the price. The efficient pump makes sure you get just enough amount out for each wash so the bottle lasts 1-2 months. Backed with an unrivaled 100 days no hassle guarantee. If you don’t like the product, you’ll get all your money back, without even returning the product. Strong 10% benzoyl peroxide acne treatment gives a tough fight to acne causing bacteria and inflammatory acne. Versatile application. Works well for facial acne, body acne, and as a spot treatment. Works very well against cystic acne. Can cause excessive dryness due to strong concentration of benzoyl peroxide. Follow up with a non comedogenic moisturizer. Has a thin watery consistency, so unless you’re quick to lather it runs down your hands. Can cause irritation for sensitive skin. Best used as spot treatment. Excessive use will lead to skin burn or irritation, specially for sensitive skins. Start with one application daily. Once your skin gets used to it, you can increase frequency if you need better results. X Out is a Proactiv brand and it was designed by having in mind the hectic lifestyle of young adults and teenagers. 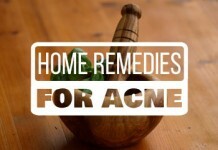 It promises to get rid of acne problems in one simple step. Comes with a benzoyl peroxide wash to treatment and prevent acne breakouts, along with a bonus spot treatment that can be used to quickly fight unwanted pimples that show up at the wrong time. Bottle covers a generous amount that is bound to last at least 2-4 months. Absorbs readily into your skin and medication keeps working even after rinsing off. Free of parabens and sulfates which makes it attractive to sensitive skin. Despite being a relatively strong treatment, it does not cause excessive dryness. 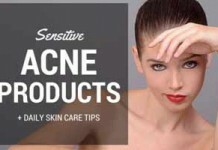 Proclaimed to work best along with other components of Acne.org acne regimen. Beware of benzoyl peroxide bleaching your fabrics. Spot treatment is not suitable for sensitive skin, specially its excessive use. Cleanse your skin with benzoyl peroxide wash 1-2 times a day depending on your needs and skin reaction. Apply spot treatment only to visible inflamed blemishes that you wish to dry out and fade eventually. 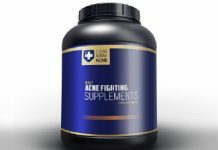 The best thing about Acne.org products is that they’re backed with a solid community of acne.org. The founder, Dan Kern, started the site in 1995, and since then it’s developed into a robust resource and community of like-minded people. 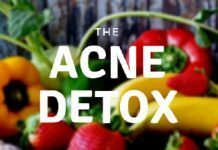 The Acne.org regimen is a result of years of research and experience that Dan gained tackling his own acne and bringing up this site. Suitable for: All except sensitive skin. The optimal 2.5% benzoyl peroxide concentration helps fighting acne causing bacteria while not putting too much stress on your skin. Smooth gel lathers in your hands nicely and doesn’t clamp up. Sleek and sturdy bottle pump ensures you get exact amount of wash you need. This version is a 16oz bottle for a reasonable price. It can last for 2-4 months of daily use. Absorbed quickly and does not leave an oily sheen on the skin. Works well for teenage and adult acne alike. 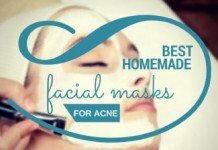 Best results are ensured if used with complete Acne.org regimen. As always, benzoyl peroxide poses a threat of bleaching to you fabric. To avoid it, don’t rinse it off your face until is nicely absorbed. Still after washing, pat dry your face and neck. Not an effective treatment against severe acne conditions, due to relatively mild concentration. Although, the instructions indicate to use 2 pumps of wash 2-3 times a day, you will be better off with 1 pump every time. If you have sensitive skin, one application daily should be enough. You can increase frequency for better results provided you don’t experience dryness or irritation. Let it absorb for 15-20 minutes before you wash off. If it causes dryness, follow up with a moisturizer. Backed with the “Treat + Care” tagine, AcneFree Terminator 10 maximum strength spot treatment promises to give a solid punch of acne fighting medication along with soothing elements to provide much needed nourishment to your skin. Designed to be a quick targeted spot treatment for problematic blemishes on your skin. Strong 10% benzoyl peroxide medication ensures deep pore penetration to rinse off excess, dead skin cells and acne causing bacteria. Employs natural soothing ingredients such as ginger and chamomile to balance off strong medication. A much better option than competition in terms of price for the quality. Works just as well for cystic acne as it does for getting rid of blackheads and whiteheads. Also helps preventing future breakouts. Can cause excessive irritation if left overnight or without proper moisturization. Allergic reactions can occur. So, better do a patch test first. A big no for sensitive skin. Cleanse your skin before application. Using as a spot treatment, apply bit sized amount on your problem spots, and let it absorb. Or, if not as spot treatment, apply a thin layer liberally all over your face. You can do 1-3 applications daily depending on your condition. If irritation occurs, reduce use to once a day, and apply a moisturizer afterwards. Do not let it sit on your skin for long. There is not exact direction about how long should it be applied, but best if you don’t prolong as the medication is strong. If you’re looking for a milder option from the house of AcneFree, this oil-free acne cleanser is your solution. Brings you a solid acne treatment by combining two proven acne medications of benzoyl peroxide and glycolic acid. Comes with the so called ‘micronized’ benzoyl peroxide that penetrates deeper into your skin to fight off acne causing bacteria and unwanted debris, while ceramides provide a much needed soothing effect. Doesn’t just fight existing acne but also helps prevent future breakouts. Effective against blackheads and hormonal acne. Works great as a spot treatment. Not suitable for treating severe conditions such as cystic acne. Can be too astringent for sensitive skin, use with caution. Do not use any other treatment along with this product, it might counteract and cause excessive dryness and irritation. Take a dime sized amount in your hands and gently massage it evenly on your skin, avoiding the t-area. Rinse off with lukewarm water (not hot), and pat dry with a non-abrasive wash cloth. It turns out that benzoyl peroxide is not suitable for certain skin types. When your skin is unable to tolerate it, the results can be seen in the form of peeling, itching, redness, or different allergic reactions. Apply a bit sized amount of a benzoyl peroxide acne product on the back of your ear, and leave it overnight. If in the morning you feel burning, itching, or redness on your skin, it’s time to look for another product. If there’s nothing wrong, you can start to use it on your face. First, start off with one application daily, and then gradually increase it to twice a day if it doesn’t mess with your skin. 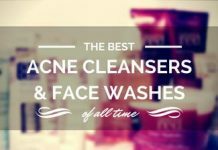 I have extremely sensitive skin on my face with moderate acne; I have a hard time keeping my face from drying out even without cleansers, so I’ve always been concerned with strong acne treatments. 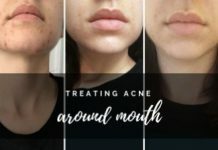 Every other treatment I’ve tried for sensitive skin wasn’t strong enough to stem my acne, and anything stronger would completely dry out my face. The acne cleanser alone didn’t get my acne where I wanted so I tried out the treatment. Dermalmd acne serum is the only treatment that clears my skin without overly drying it out! I was so excited when I started seeing results! I had to start out with the every-other day routine, but I now use it every night. I have to use lots of moisturizer to prevent dry skin, but my skin is clearer than it has ever been! I still get the occasional acne, but not bad at all and it takes much less time to go away with dermalmd treatment. I definitely recommend dermalmd to anyone with sensitive skin!